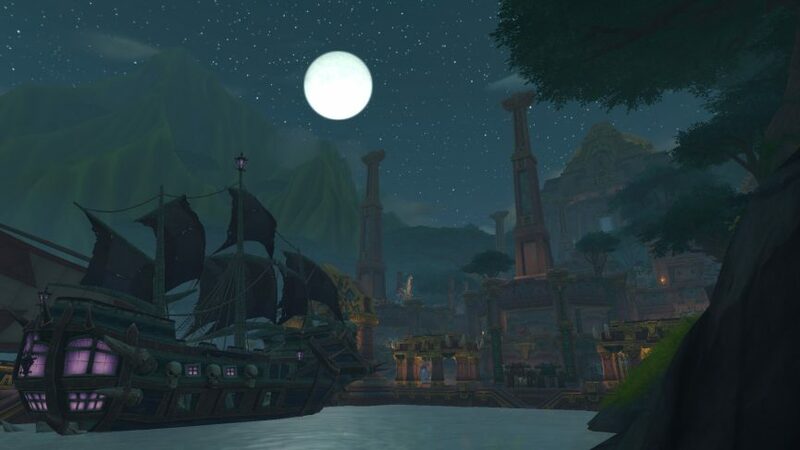 I feel as though it is time for another update to my activities in World of Warcraft which I am still hooked on since the launch of the ‘Battle for Azeroth’ expansion. The biggest thing to share since my last update is that I have managed achieve all of my goals and have reached level 120 with my warrior which is currently sitting on a relatively low average ilevel (item level) of 336. I have also improved the professions of my paladin, most notably her blacksmithing which is now maxed out. As planned My PvP activity has been non existent since my last update and I plan to keep it that way for the time being since I have found it increasingly difficult to get into a regular RBG (Rated battle ground) group. I think even if I did, they would probably not be the kind of people I would enjoy playing with anyway. My druid ilevel has increased to 366 and my paladin as always so far this expansion is still trailing at 359. I am still enjoying my time in my new guild ‘Midlife Crisis’ and I am slowly getting to know the regular players. Last Thursday we managed to kill 7 out of 8 boss in ‘Uldir’ on normal difficulty, leaving only the last boss ‘G’huun’ to kill on Sunday which I think will be a guild first. If we are successful I believe the plan would then be to start trying heroic. 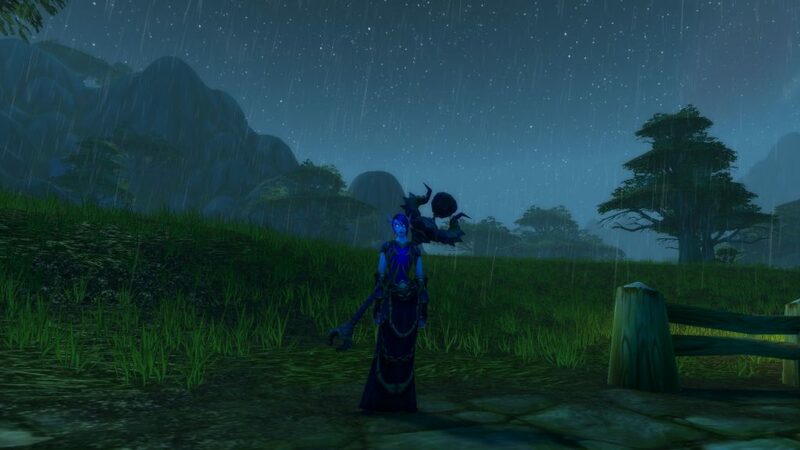 The guild has opened up numerous doors for me with no hassle, drama or bad feelings and I must say, I am loving it. I was invited to do a mythic+5 dungeon in ‘The Underrott’ and we cleared it with ease and within time, I even got an item upgrade at the end. I hope more groups will form to do mythic dungeons, if only so I can get some achievements. I would like to introduce you to Khorium, my void elf warlock pictured in Wetlands at the starting level of 20 for void elves. I plan to level Khorium to 120 and obtain the void elf heritage armour, mount and ‘Heritage of the Void’ achievement. Along the way I will also try and get various quest achievements to work towards ‘The Loremaster’ achievement. I already have ‘Loremaster of Northrend, Cataclysm, Draenor and Legion’ achievements however the other continents, Eastern Kingdoms, Kalimdor, Outland and Pandaria still need doing. I have never been very good at leveling characters and I think this will be a slow side project, especially since a new content patch is less than two weeks away. The other thing I want to improve in the coming weeks is my achievement score. I have as I write this 18,910 points (account wide) which is respectable but there is huge potential for improvement. Also, now my warrior is 120, I would like to work on her professions and get them to max level.